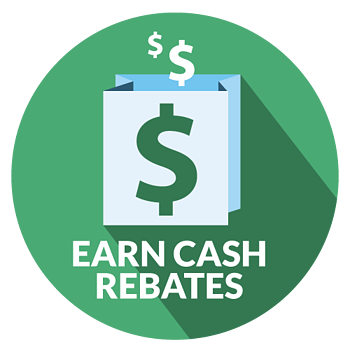 By using ePayments - you can reduce manual processes, save on paper and receive cash back each month. Our ePayments is an electronic payment method using a virtual MasterCard account number to pay your suppliers with ease and security. Like a check, each payment is tied to a specific amount, a unique payment number and an expiration date. Why not use a check? Submitting an ePayment is better than a check because it can be fully-automated and integrated into your operating system – from payment to reporting to reconciliation. Step One: You submit a payables disbursement file to CloudX containing consolidated invoices for each supplier. 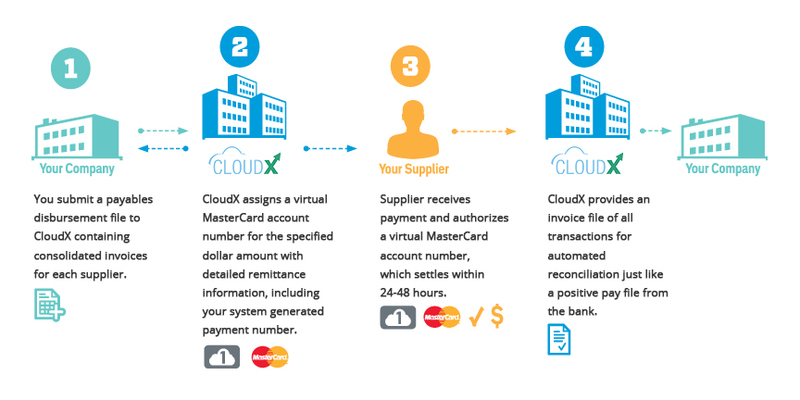 Step Two: CloudX assigns a virtual MasterCard account number for the specified dollar amount with detailed remittance information, including your system generated payment number. Step Three: Your supplier receives payment and authorizes a virtual MasterCard account number, which settles within 24-48 hours. Step Four: CloudX provides an invoice file of all transactions for automated reconciliation just like a positive pay from the bank.